Cheers to beer pudding! Delight beer lovers by taking their favorite beverage and blending it with their favorite salty snack in a scrumptious dessert. 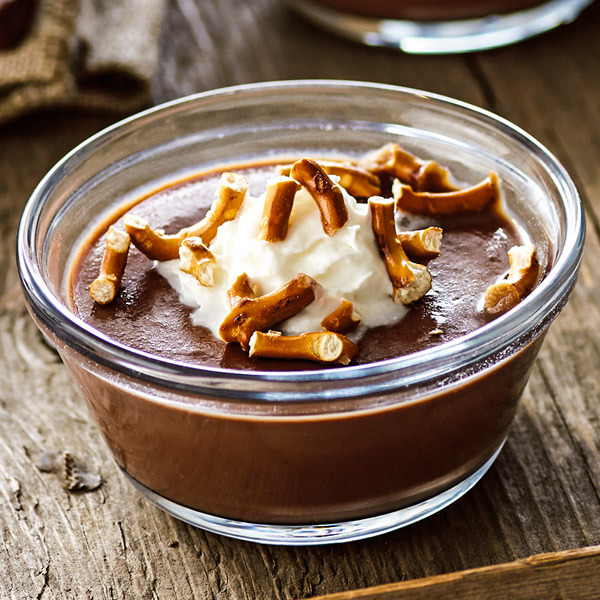 Our Beer and Pretzel Pudding recipe uses chocolate stout to create a rich pudding. A dollup of whipped cream and pretzel pieces provide the finishing touches on this happy-hour-worthy dessert. In a saucepan, stir together sugar, cocoa powder, cornstarch and salt. Slowly add the milk and chocolate stout beer. Bring to a boil. Then stir constantly and simmer till thickened. Remove from heat. Add butter and vanilla. Let cool. Serve topped with pretzel shards and whipped cream.